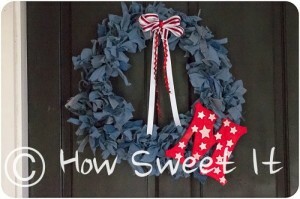 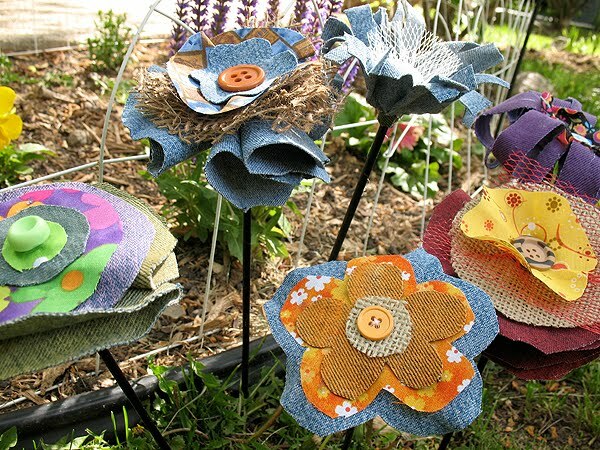 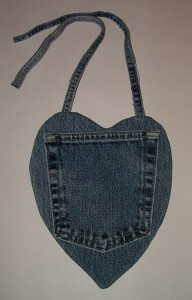 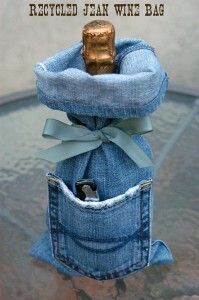 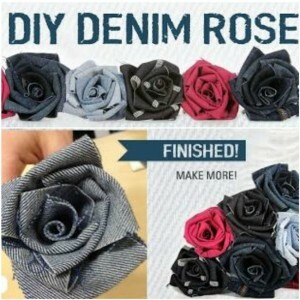 Do you remember these whimsical denim flowers Amanda who blogs at Crafts By Amanda made from recycled jeans? 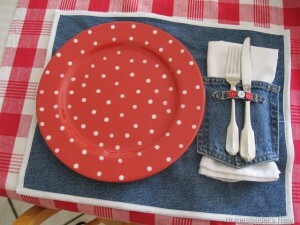 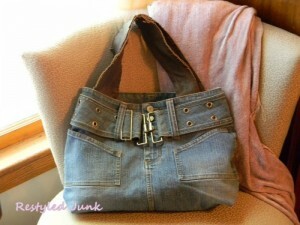 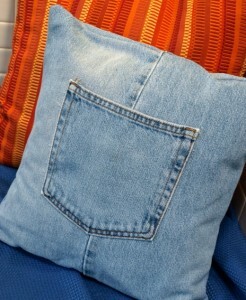 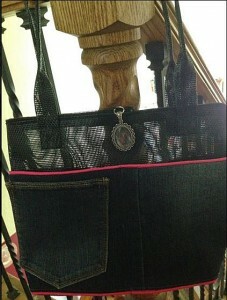 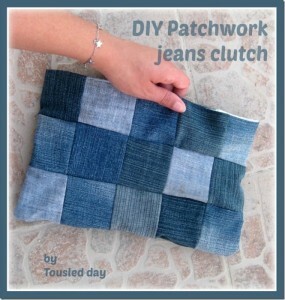 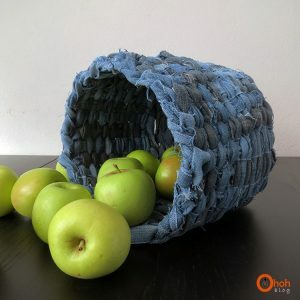 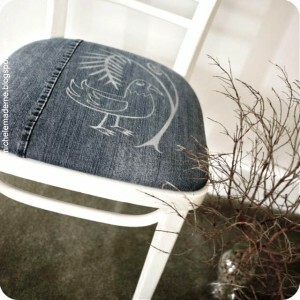 In her tutorial, she shared the secret for getting all this great color in her denim fabric. 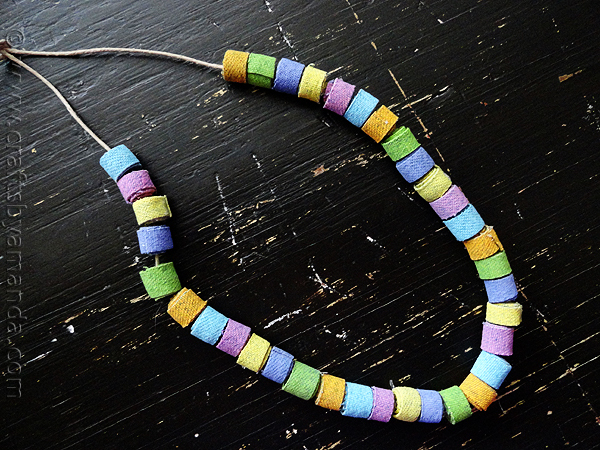 Amanda used a similar technique to make these fun denim beads in all the colors of the rainbow. 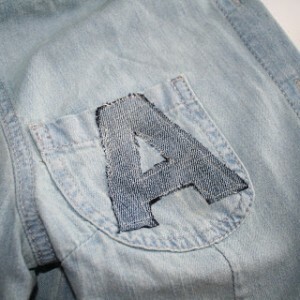 Aren’t they beyond cute?! 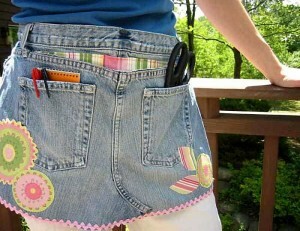 These could be used so many ways, definitely be great for craft projects.